NBA – Former Cleveland Cavaliers and now a Lakers star LeBron James returns back to Cleveland to face his former team Cleveland Cavaliers in this unique game at Quickens Loan Arena in Cleveland, Ohio. James homecoming is the only game in his hometown out of the 2 games scheduled for this 2018 – 2019 NBA Regular Season, the second and final game are scheduled in Los Angeles, California at the Staple Center. Cavs fans give LeBron James a warm welcome when the Cavs public announcer announces LeBron James in Lakers starting five. LeBron Gets standing ovation to his former Cavaliers crowd were several fans showing respect from their former franchise player that ended the 52 year drought of any major championship in 2016 appreciating for what he’s done for the city. While there are also some fans that not even bothered to cheer James nor booed him. Overall, LeBron’s homecoming is highly appreciated by the Cavaliers fans unlike in 2010 when he was with the Miami Heat that he became the public enemy #1 in the Land. Meanwhile, in the game LeBron James shows a great 1st half scoring 18 points, 8 rebounds and 4 assist to lead the Lakers back in the game after falling down by 11 points in the early quarter. 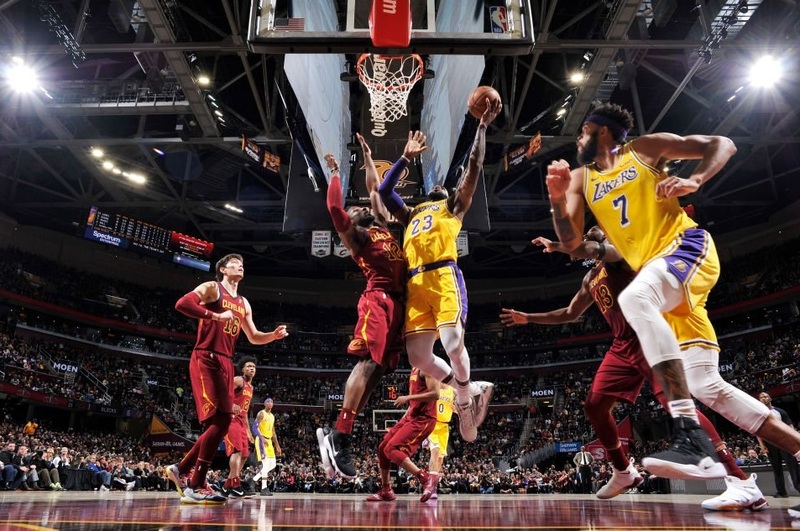 In the 3rd quarter both teams are switching leads not until in the 4th quarter where the home team Cavaliers able to post a comfortable lead, but that lead can’t stop LeBron James from spoiling his homecoming as he takes over in the 4th quarter scoring 11 points to lead the Lakers in 109 – 105 win over the Cavs. LeBron James finish the game with 32 points, 14 rebounds and 7 assists and the Lakers are now with 2 – game winning streak, improving their standing to 10 wins and 7 losses while the Cavs drops to league worst 2 wins and 14 loss. No Comment to " Cavs Fan Gives LeBron James Standing Ovation on His Homecoming "